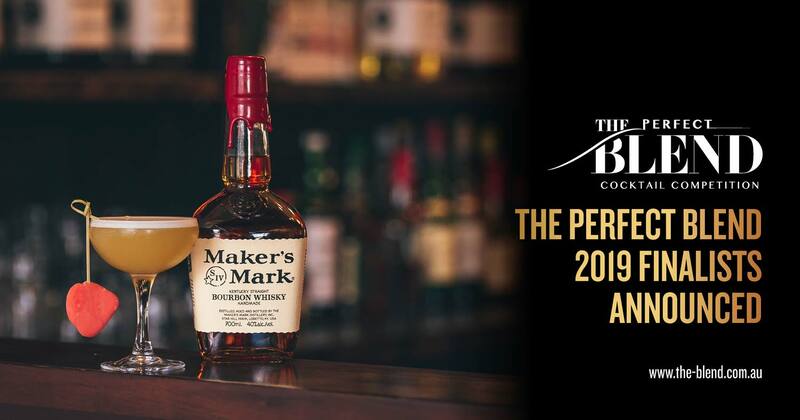 The Perfect Blend invited the Australian and New Zealand bar community to enter their original creation that either reflected ‘That Moment In time…’ or ‘Minimal Waste, Maximum Taste’. Over the last few weeks, the judging team have been working overtime to narrow down over 400 entries received from bartenders from all corners of Australia and New Zealand. After a gruelling blind judging process, the following exceptional finalists have been selected from each state (in no particular order). Kicking off in February 2019, The Perfect Blend will be touring this great country of ours, hosting five regional final events, then jetting off to New Zealand and hosting one there, to select a winner from the Apprentice and Professional categories, all of whom will be vying for their chance to win an ultimate fantasy-turned-reality, visiting Kentucky, the home of bourbon. Receiving a VIP tour of Jim Beam, and Maker’s Mark distillery then heading to New York to attend Brooklyn Bar Convent, and visiting some of the very best bars in the world! You’re invited to attend the regional finals, more details to come. Keep an eye on www.the-blend.com.au or www.the-blend.co.nz.